Born a god… just a boy. Power Boy may have been born a god, but on Apokolips he was just another one of the low-born, which meant that his childhood was filled with suffering and damnation. Power Boy was destined to be just another nameless face until Darkseid's minions brought him to the attention of the Monarch. At the young age over just over 600 years old, Power Boy was taken into Darkseid's clutch. There he would spend the next several centuries training in the arts of combat and the art of war. This wasn't everything that he went through. Darkseid decided to try and use him as a base template to create a perfect warrior, so he tinkered with his genetic material. Unbeknownst to Power Boy these alterations had other effects on him that he wouldn't immediately be aware of. The manipulations gave him new abilities that weren't common to the people of Apokolips, or even New Genesis. The biggest augment was Power Boy's empathy, this was key to Darkseid's plan for the boy. It was during one of the many assaults by New Genesis that Power Boy snapped out of his blind obedience to Darkseid. This was the first time the thoughts of escape would enter his mind. And trying his best, Power Boy tried to escape, only to be caught and brought back to Darkseid to be punished. It was shortly before Power Boy would turn 2,931 human years old, that he finally made one last dash for freedom. He knew if Darkseid caught him he would be beaten to near death, and left for dead. This urge pushed him forward. He lept into the air and struck out over the surface of Apokolips. The Parademon armies gave chase as they always did, and this time, much to his surprise, he was gaining distance. It was then that Power Boy realised what was going on. The Parademons struck a little village. Instantly he knew what Darkseid had ordered. His parents were murdered. The parademons shortly turned to Power Boy, giving him good chase. Taking his father box, he opened a hush-tube to anywhere.. After a bit of a rough up, really bad one, Power Boy flew through the tube and dropped out into a small field. He was very surprised that his arrival on Earth had gone unnoticed. It was 1943 and Earth was caught up in its own battles. Stealing some Earther clothing from a line the yard of a home in the middle of the corn fields. Power Boy started walking. During the walk he inquired about what was known about Earth by his father box. It was only a few weeks before the Spectre levied his judgement on the world of Earth. The Father Box felt the change and influence being pushed on the world by the Spectre. In an attempt to save Power Boy's life, it opened up a hush-tube, and pulled Power Boy into it. The Tube was not really a travelling tube, instead it placed Power Boy in a sort of stasis within the Father Box itself. It was then that the power of the Father Box was diminished. In an attempt to save Power Boy the box turned off all non-required functions and went inert, diverting all remaining power to keeping Power Boy alive. After the fall of the Spectre's judgement, the Father Box powered backup and reopened the Hush-tube ejecting Power Boy into the world. The Father Box and he decided that Metropolis would be the safest place to try and blend in, big cities are easier to get lost in. During his walk there, to not draw attention, the Father Box went about creating his Persona of Simon Rexal. He was determined to just stay low key. He didn't want to stand out. All that changed soon enough. As a scram-jet was coming down right on Metropolis, she appeared. The birth of an angel in his mind. She was not much older looking than he was. She single-handedly caught the plane and set it down. He would later find out her name was Power Woman. The terminology made him think twice, she wasn't much older than a teenager, but she called herself woman. She was something of an awe moment for him. There was something about the situation that made him feel as though he was being selfish. Something about the girl made him feel less than a god, for the first time in his life he felt… less than. For the next two years Simon followed every exploit of Power Woman. He had to know why she made him feel less than. Human school was easy for him. He tried his best to blend in, but occasionally he would stand out to much, then he would need to change schools. This was especially true when Simon accidentally punched a concrete wall taking down an entire wing of one of the public schools in San Francisco. He had to get away. It was now 2013. Zarl was attending Metropolis High, he was a freshman. He lived in a modest apartment, by himself, not that anyone really paid attention. The rent was paid, as were all the bills, on time, thanks to the Father Box. In secret he carefully crafted a more male version of Power Woman's outfit. She was his inspiration and one day he would work the courage up to actually don the outfit and take the name he had decided on. As the new year rang in, Zarl continued with school and eventually summer break came. 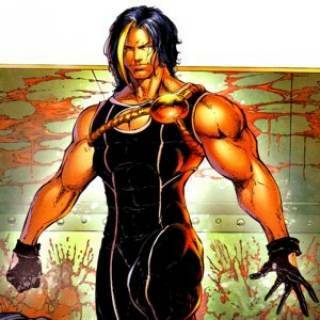 Zarl is still trying to stay out of the limelight, however, everytime he sees mention of the heroes of Earth fighting off forces beyond their gleaning, that urge hits him. He keeps the costume stored in the Father Box, which is always with him. Should he ever decide to don the costume he knows what he has to do. Power Boy, as Zarl, wants to have a normal life above all else. He has seen enough battle in his life. This does not always mean he gets what he wants. As Power Boy, he must stand up for what is right. He has seen people suffer under the boots of those who have more power. That's called hell, and home, in his mind. While he constantly struggles to find a happy medium between being a hero and being a normal kid. More oft than not these two endeavours are mutually exclusive and often find themselves in conflict; it doesn't stop him from wanting them. Being born on Apokolips, Power Boy knows how to fight and lives in the fight. Even though he is on Earth, Power Boy was raised a gladiator. He lives for the fight and fights to live. This is so engrained into him that his first instinct is to beat the snot out of whatever is causing the problem first, ask questions later. Due to his Empathic nature, Power Boy is acutely aware of the emotional state of people around him. This means that he can be influenced by those around him easier, because he can sense their current emotional state. Power Boy is new to Earth and is functionally lost. The Father Box has information about Earth and it's culture, but frankly he's a lost boy. He doesn't know exactly how to fit in, nor does he know what's expected of a teenage boy. Power Boy was raised to worship Darkseid and obey him above all others. When he escaped to Earth he turned his back on all his beliefs. This has had a profound effect on him mentally and emotionally. The thought of having to face Darkseid again brings him a terrible sense of dread. Power Boy was raised in quite literally hell. He doesn't understand the variances of human interaction. When it comes down to brass tax, when he goes into combat mode, he will quite literally not stop until the combat is over. He has problems controlling that urge. He doesn't know when enough is enough. Because of Power Boy's origin, he is lost when it comes to most of Earth culture. Things like cars, fashion, tv shows as well as pop culture references. While he isn't a fool, he will remember if someone takes advantage of him. While it could be considered a flaw, it's actually the result of his lack of interaction on a true emotional level. As such he tends to not be able to cope with the simple things. This is shown in canon by the way he reacted to the Supergirl incident. Even among the denizens of Apokolips, Power Boy stands out. This is partly due to Darkseid's manipulations and the lifestyle on the planet. He is strong as most would expect. He is able to breach most Earth materials with a simple punch. He can lift up to 50K tons before he feels the strain. he has yet to encounter any material that he isn't able to punch through, though in theory adamantium will prove resistant to his strength. Thanks to Darkseid's manipulations, Power Boy is in a class of his own when dealing with Apokoliptian denizens. He is fast enough to move from a stand still to 1,500mph. He has the ability to pluck bullets straight from the air and dodge them as easily as someone steps over a crack. This ability allows him to move swiftly in close quarters combat. 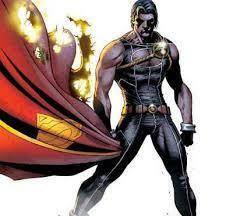 Apokoliptian Life and Darkseid's manipulations have made Power Boy virtually an unstoppable work horse. As part of his physiology he doesn't need to eat, breathe or drink; nor does he need to sleep. While occasionally his mind needs to rest, this happens rarely, and even then he only needs a few minutes of actual REM sleep. He is conditioned to function at full capacity for weeks on end without any rest. War is hell and Power Boy can wade through it. His physiology is different than most humans, as such he has the ability to exhale his breath with enough force to most non-connected things back several feet. He can concentrate this breath enough to freeze a 20x20x20 area of water into solid ice. He can take in all the air from a 20x20x20 room, leaving no air to breath. Most Apokoliptians are pretty much invulnerable to a variety of things, but thanks to Darkseid's manipulations Power Boy is even more durable than they are. He is able to withstand any of Earth's common weapons. He is able to stand toe-to-toe with someone who has equal super-strength as his own, and not feel the effects. he can withstand most thermonuclear weaponry as well. However, there are instances where he can be hurt. See his flaws for more information. Unlike most Apokoliptians, Power Boy has the ability to defy gravity and propel himself through the air. He can fly at a max speed of 1,500mph. He can maintain this speed for several days if need be. This flight also functions in space, however, the speed is vastly increased do to the lack of friction in the air. When flying in space he could easily fly around 17,000mph. Power Boy's signature power is the ability to read the emotions of those around him. While this range is usually no more than 30 yards, or about 90 feet. He doesn't have the ability to manipulate those feelings. However, strong emotions are easier to sense. A trained psychic or those who are resistant to Psychic powers are unable to be read by him. This empathy ability fuels two of his more signature powers. Depending on the emotions around him, Power Boy can generate a variable energy projection that functions much like lightning. The energy projected is affected only in color by the emotion that is absorbed. The intensity of the blast is dependent on the amount of the emotion around him. While a normal single being feeling the blast would give him the equivalent damaging power of a high power laser, that too depends on the person and the emotion. The power of Hulk's rage would be enough to bump the power up to the equivalent of Cyclops' un-visored eye blast. The emotion is cumulatively built up, meaning that the effect of two people is stronger than one, and four people are stronger than three. The exact amount of damage that he is capable of generating is limited by the range he can sense the emotion, much like his empathy, which is the parent ability, it is limited to 30 yards from him, or roughly about a third of a football field. Unlike his Energy blasts, Power Boy needs a bit more umph to generate the solid constructs. Their relative durability is dependent on the amount of emotion he is able to absorb. In this manner the constructs function much like a Power Ring from the Green Lantern Corps, does with will. The emotion being absorbed determines the color of the construct, red for anger, pink for love, blue for envy, etc.. The more upmh the more intricate and durable the construct can be. Getting an overexaggerated emotion of say "anger" from one person would allow him to build a construct with the durability of brick, while this too is dependent on the providing person this is the general level. Much like his energy projection ability the range is the same as empathic abilities. Even though he is a New God, he stands out even more than most other Apokoliptians. Darkseid tampered with his genetic structure making him stronger, faster and smarter than most Apokoliptians. Due to Darkseid's tampering and his harsh life on Apokolips, Power Boy is considered extremely smart by both species. His IQ is easily around 170, making him exceptionally intelligent. By Earth standards Power Boy is immortal. He will not die of old age any time soon. While he will age, he will do so painfully slow. He currently appears in his teens, which he is actually is. However, he'll live to be thousands of years old. This doesn't mean, however, that he can't be killed, it just takes significantly more to do so than one would think. All New Gods are pretty much a world unto themselves. This means that Power Boy does not need to eat, drink or breathe to survive. He has the ability to survive in space without any need of protective gear, as well as underwater. This also means that he is not affected by most of the diseases and toxins found on the majority of Planets. Toxins and Diseases that affect either those from Apokolips or New Genesis will affect him normally. Power Boy was born and raised mostly on Apokolips. The planet is basically one giant battle field. As such the realities of pain is burnt into him from an early age. As such, he has the ability to withstand levels of pain that would cause even the most hardened of heroes to bend knee. As a member of the Apokoliptian race and one of Darkseid's pet projects Power Boy has access to a Father Box. The Father Box has adapted to a shape that blends in with his costume and provides him with several key advantages. *Artificial Intelligence: The Father Box is sentient in the sense that it has self awareness and awareness of what is going on around him. The Father Box has the ability to transfer its intelligence into any other form of technology or even in some rare instances, even other beings. While the Father Box is currently assigned to Power Boy, the box itself has its own personality and will. This can sometimes be counter to Power Boy's wishes. *Telepathic Link: The Father Box has a permanent and unbreakable telepathic link with Power Boy. This allows him to communicate with it no matter where it is located. This also allows the Father Box to feed him information and keep tabs on his current health situation. *Danger Sense: The Father Box has the ability to alert Power Boy if something is about to happen. The technology is beyond his basic understanding and borders on the edge of precognition. Generally speaking, it's virtually impossible to surprise attack Power Boy while the father box functions. *Life Sense: The Father Box has the ability to sense where any specific life form is located. The range seems to be limited to the current planetary body. He can specifically search for a single life form or a classification of life. *Omni-Knowledge: The Father Box has the entire record of all the knowledge collected by the New Gods, both of New Genesis and Apokolips. *Life Support: Assuming that Power Boy's wounds are not inherently fatal, the Father Box can sustain his life until he has time to heal, if need be. *Hush Tube: The Father Box has the ability to generate portals to different locations in the known universe. This functions exactly like a Boom Tube, but doesn't have the normal disorienting "Boom Sound" associated with them. As Power Boy is no longer part of Darkseid's army, the Hush Tube function of the Father Box he has is severely limited as he doesn't have the means to replenish the material component needed to form the tube. So he uses it very sparingly. He has enough to use the boom tube sometimes, if he doesn't use it to often. *Gravity Manipulation: The Father Box has the ability to manipulate the strength of gravity in a specific area. The exact area of effect for the gravity effect is about 20x20, however, it can increase or decrease the gravity by several "gs". The Box can manipulate gravity to the point of crafting a blackhole. *Healing Factor: The Father Box has the ability to heal his wounds at an advanced rate. The Father Box can heal most non-critical wounds within minutes and broken bones within hours. More extensive wounds take longer, but the box can sustain his life-force while it heals him. Power Boy has a very keen understanding of Apokoliptian technology. This technology is considered the most dangerous in the known Universe. This familiarity with the technology of war comes in handy. Even though Power Boy has left Apokolips, Darkseid has taken a lot of interest in Power Boy's development. It is not unreasonable that given enough reason that Darkseid would help him with a cost. Power Boy isn't really willing to go to Darkseid for help, but he always has the option. Thanks to the Father Box that Power Boy has, he was able to craft an identity here on Earth. The identity Zarl Vorne was crafted completely. It will pass most of the basic checks by most law enforcement agencies. It would take a group like SHIELD or more to discover that the identity is false. The identity is so complete that he has a social security number and birth records. This identity has everything needed. He crafted enough stuff so that he has an apartment, trust fund and everything that he would need to survive on Earth. While he tries to not draw attention to himself, he keeps everything low-key, on purpose. Being born on Apokolips, Power Boy has undergone physical combat training that would make most the military training seem like a cake walk. Needless to say he is well versed in hand-to-hand combat and with most traditional Apokoliptian weapons. Power Boy knows the basic education of those born on Apokolips. On Earth he attends high school which helps him learn more about this world. But he does have the information and knowledge to navigate and function on Apokolips without any issues. Power Boy's empathic powers are a catch 22. If he absorbs negative emotions, Power Boy can lose control becoming something akin to a violent socio-path. In this state Power Boy is basically at the whim of his rage until he has the chance to absorb more positive emotions. While this is not always active, it does require him to be fueling either his projection or construct abilities. Like all New Gods, Power Boy is extremely vulnerable to Radion. With sustained contact, excessive contact or explosive contact with the material, Power Boy can be killed as easily as a normal human being. The material is also toxic to him in low dosages. This would be akin to radiation poisoning in humans. Even in low dosages, prolonged contact can be toxic and lead to death as well. Even though the Father Box created a relatively believable identity in the system, it is still fake. If ever found out, Power Boy might face questioning. Power Boy doesn't advertise his origins. In fact, he actively tries to avoid mentioning it. Not everyone would take kindly to a person from that world, especially one that was manipulated by Darkseid himself. He even goes so far to hide it, that he even claims the abilities of his Father Box as his own abilities. Power Boy is something of a test by Darkseid. He manipulated the boy's genetic structure to try and force the Anti-Life Equation to develop within him. As such, Darkseid keeps a careful watch on Power Boy, waiting for the day that he would present that first sign of the equation's presence. The forces of Darkseid will combat Power Boy all the way up to killing the boy. This means, even though they will beat him to near-death, the fatal blow will never come from any of their hands. Unfortunately this protection is just another sign that ultimately, Power Boy belongs to Darkseid. One day, maybe soon, Darkseid might decide he wants his pet project back. Until that day, Power Boy can't hide from the Monarch. Depending on the Emotion being absorbed, Power Boy undergoes some minor physical changes. The most prominent one is his eye color. While absorbing love his eyes will change to Pink, rage turns them red, jealousy turns them green and so on and so forth. The Father Box is usually loyal to Power Boy, however, even he knows that the Box's loyalties lie first with Darkseid. This could present some problems if the two should ever go against Darkseid directly. Power Boy is Immortal. As such he ages in a much different scale than most people on Earth. 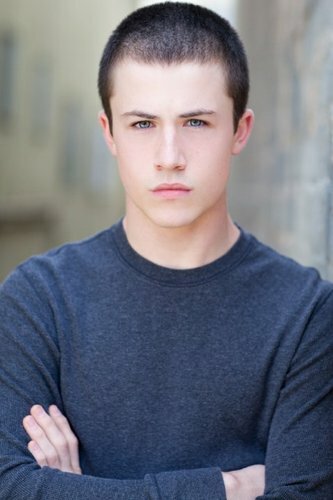 While he appears to be in his teens, he is actually far older than that. It should be mentioned that Power Boy will appear as a teenager for several hundred millennia before he appears to grow up. It should be mentioned, that even though Power Boy is as old as he is, he is emotionally developed in the same manner as someone who is a teenager, in his case 15. He is immortal, he ages and grows differently. So he might know a lot of things about a lot of things, but he's still just a teenager, even by New God Standards. Zarl or Power Boy both are pretty much unknown.